The “Combifire 2” series thermal pellet units were developed from our research work in the field of solid-fuel boilers. The use of economic and ecological fuel, together with automatic functions maximise savings, comfort and respect of the environment. A fuel efficiency exceeding 91% guarantees a saving between 40% and 60% with respect to traditional liquid or gas fuels. This fully automatic thermal unit ensures a level of comfort comparable with that provided by traditional boilers, with an autonomy of over a week. This time naturally depends on the quality of the fuel and capacity of the silos. 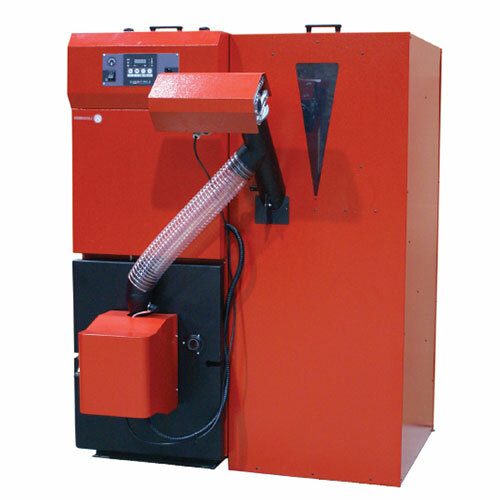 Our thermal units feature a heavy duty top quality steel boiler casing and fuel feeding screw. 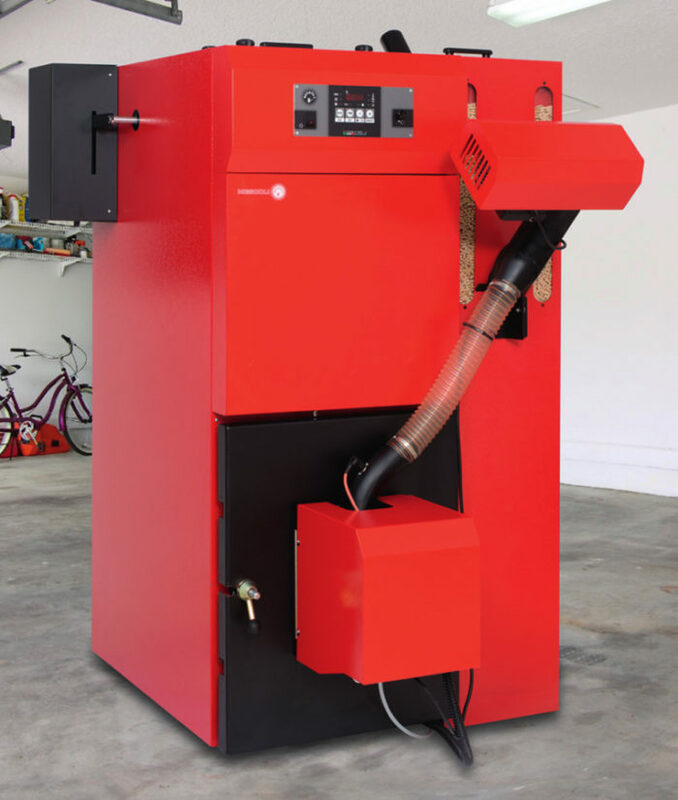 This system makes it possible to use different solutions for positioning the fuel container, for example by installing the boiler in one room and the pellet container in an adjacent room. This ensures easy access to any part of the thermal unit, including the burner for ordinary or extraordinary maintenance.